Versatile and tough, folding reefer access steps can be spaced to suit the needs of your drivers. 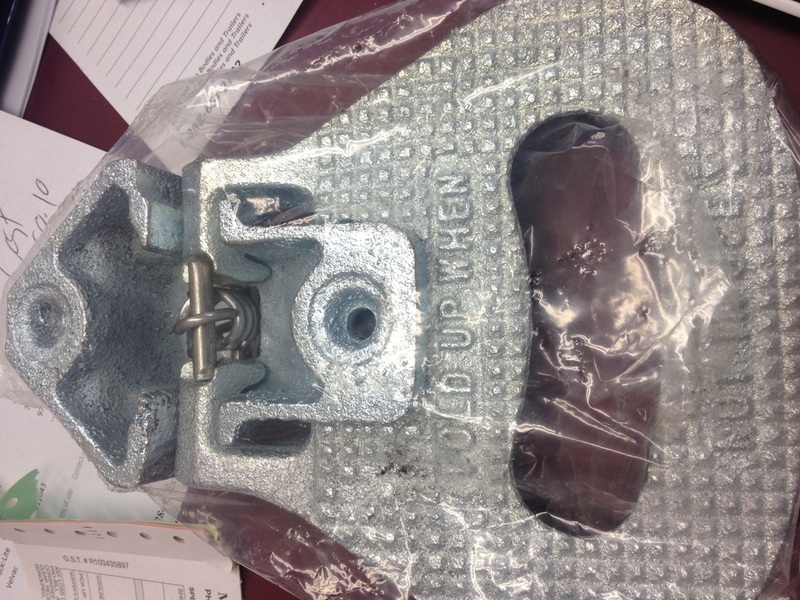 The steps mount on strong, spring locked, brackets so they may be folded out of the way for transit or parking to prevent potential injuries. A sturdily welded aluminum ladder sits inside the footprint of the box without interfering with a driver's mirror view. Like our folding steps, aluminum ladders can be customized to suit your needs in various ways. Width and height of steps as well as the gauge used in its construction. Standard for all units to be affixed with a reefer; these solidly built aluminum catwalks allow easy maintenance access to the cooling unit of the box. They are built to spec for the reefer you intend to have installed on your unit.